Correct usage of pinky finger for RPB? Post subject: Correct usage of pinky finger for RPB? Hello all, I play a mostly forehand oriented CPen game with occasional TPB blocking when needed. Recently I have been trying out RPB; which I find very fun and versatile. 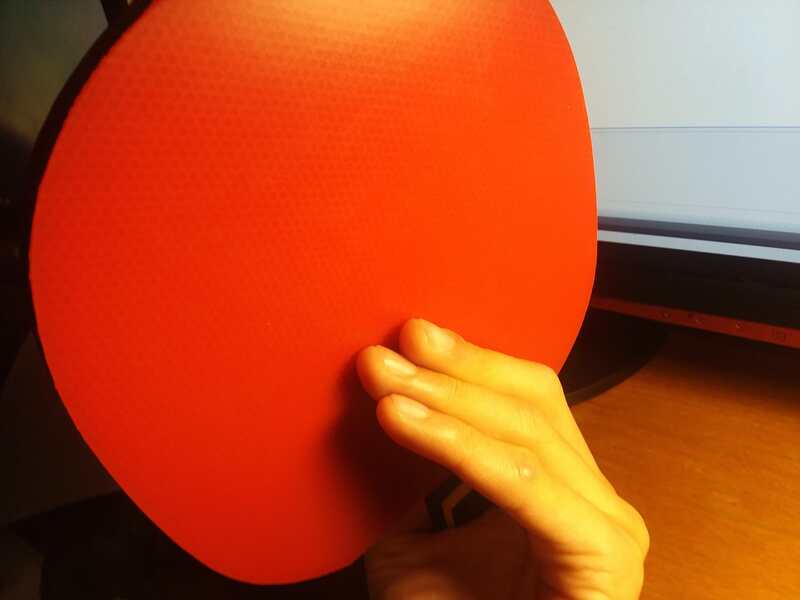 My question - for RPB strokes, should the pinky finger also be placed on the rubber? I have seen many variations of CPen grips; some have the fingers bent or straight, and this can be see in combination with 1,2, or even all 3 of the fingers touching the rubber. 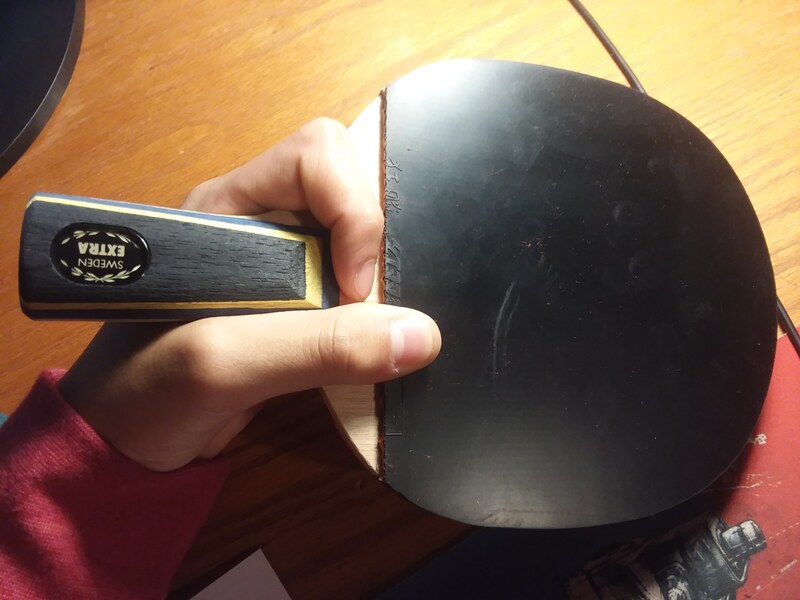 For RPB, what is the optimal combination of fingers that should be touching the rubber, and should they be bent, or straight? Post subject: Re: Correct usage of pinky finger for RPB? I've been training RPB too. Pinky not touching, but would recommend you try to pust the other 2 fingers further down into the middle of the blade and adopt a wider grip with the index finger, helps with stability on both forehand and RPB. Thanks so much for the tip about the index finger! It really helps me isolate the movement of my elbow in RPB because it locks my wrist in place. I never would have thought that such a small adjustment could make such a large difference. To push my 2 fingers further down (I assume you mean middle & ring), are you talking about towards the handle, or away from it? Should they be bent or straight? Haha small adjustments make all the difference! Finger lengths, blade thickness, handle circumference all means different grip, even my coach just says do whatever feels comfortable. Regarding the middle and ring fingers, I push down away from the handle towards the middle "sweetspot" of the blade. Mine is semi-bent similar to yours. Another tip, try to find a compromise between forehand, rpb, and tpb with the least changes. My middle finger provides the most stability and does not move on any stroke. The ring finger curls slightly more underneath the middle (and closer to the handle) during forehand and rpb, lifte off from the blade and stick on the middle finger during tpb. 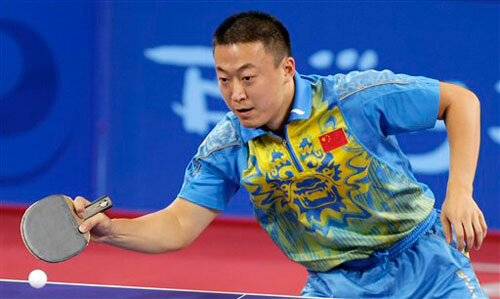 Ma Lin's grip is perfect, look for pictures. I have been using Ma Lin's thumb and index placement; much improved stability as you suggested! Couldn't find any high quality photos of his backhand fingers. I've noticed that if you bend the middle finger, it closes your blade more on the bh side and also allows you to use more of the wrist in rpb. If you straighten it, your bat angle opens more which allows for greater stability and ease of looping farther away from the table, but it restricts your wrist and flicks in the short game. What are your thoughts on this? Do you have the means to showcase your own grip? Thanks! 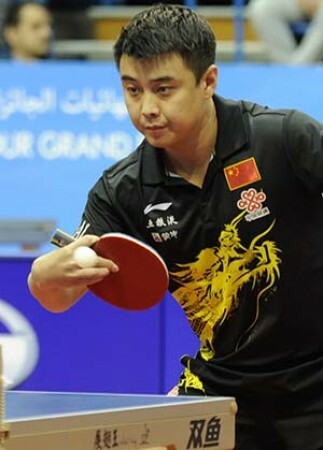 I use a grip similar to Ma Lin with my thumb and index finger but a bit higher up on the handle. My fingers are straighter on the Bh side and I feel like this gives my wrist easier rotation to open and close so I can flat hit with ease if I need/ want to but I also can curl my wrist back closed for those loops. The thing I’m trying to get used to now are Bh flicks / flips. Key note apart from the video is that everyone's hand is different and using blades of different thickness, handle width etc all need minor adjustments. As for me, I'm learning just like you. Used to be a single sided penholder with curled grip favoring "wristy" snaps. Now with heavier, thicker 2-sided rackets, I'm inching more and more into "modern" style of deeper, choked down grips, extended fingers (slight curl, not quite straight) etc. I find RPB and forehand grips are complementary, but if you want to preserve TPB, you have to experiment alot to find compromises. Nowadays, given any choice, I tend to prefer stability over wristy. BTW take my advice with a bag of salt. My RPB is mediocre at best and I'm only taking coaching about it over the past few months. BTW, my grip. Feel free to give pointers! Also, I only choke down with the index finger because of how thin and light this setup is. On thicker/heavier ones I cross on the middle section of the index finger. Last edited by lasta on 27 Nov 2018, 15:38, edited 1 time in total. Ma lin...great player but forehand dominant player. He was a traditional penhold learned to do an rpb but the joke was every time he hit it he lost the point. Towards the end of his career he would chop block a traditional c pen backhand hence his grip. The best rpb was Wang Hao and his pinky was down. Forehand not as dominant as Ma Lin,though.